Gabby Douglas is really big in her hometown. Really big and painted on a wall. 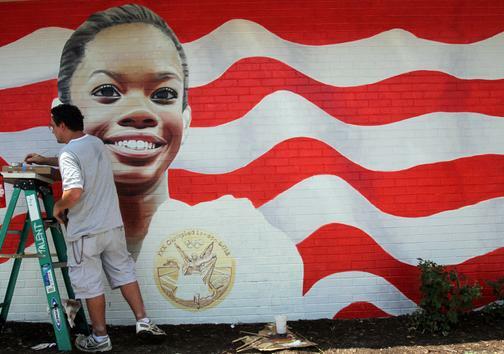 The gold-medal-winning gymnast has a giant mural painted in her honor in Virginia Beach. And she loves it. “WOW!!! This is amazing!! (hashtag)so honored,â€ Douglas tweeted Friday from the Olympics in London, where the 16-year-old won two gold medals at the Summer Games.